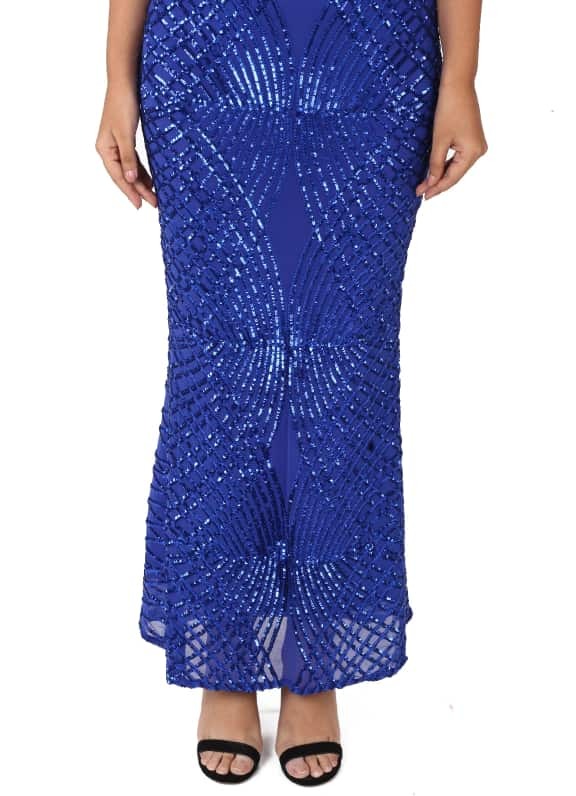 This net bodycon gown comes with blue sequins work all over. 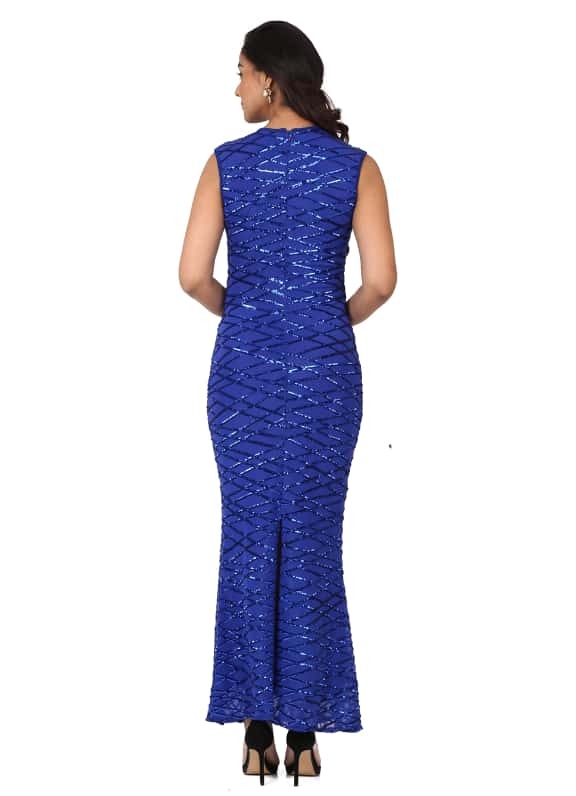 This electric blue gown is bound to fetch you compliments all night long. 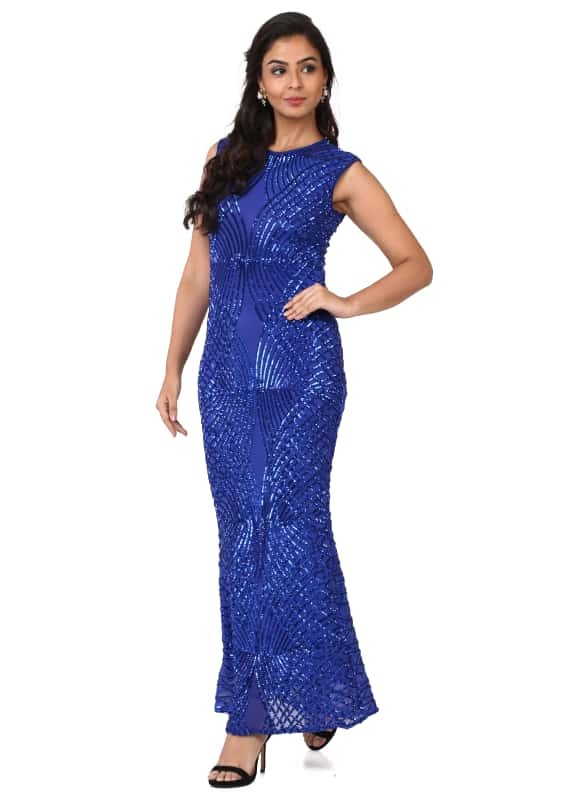 Wear it with a pair of Micare earrings for a cocktail party.